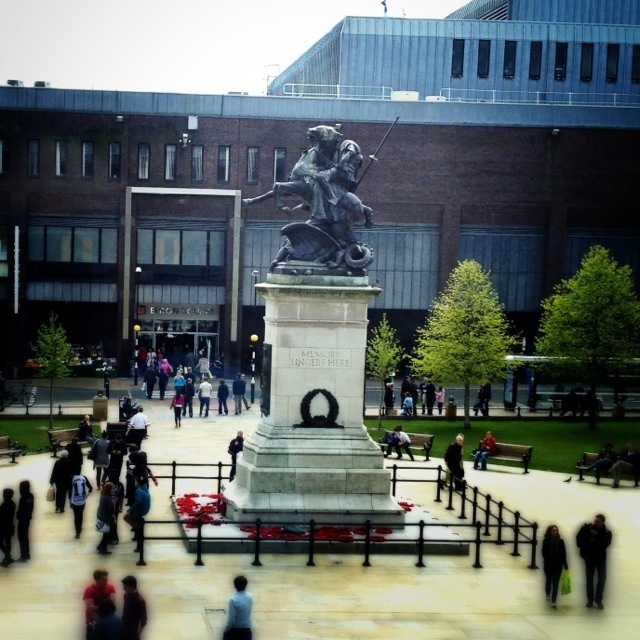 This is the war memorial in Newcastle’s Old Eldon Square. It’s a bronze figure of St George finishing off the dragon, designed by Charles Hartwell and unveiled in 1923. The inscription reads “Memory lingers here”. This 1,644th post was filed under: Photo-a-day 2012, Newcastle-upon-Tyne. Trackback received at 16:24 on 16th August 2012.